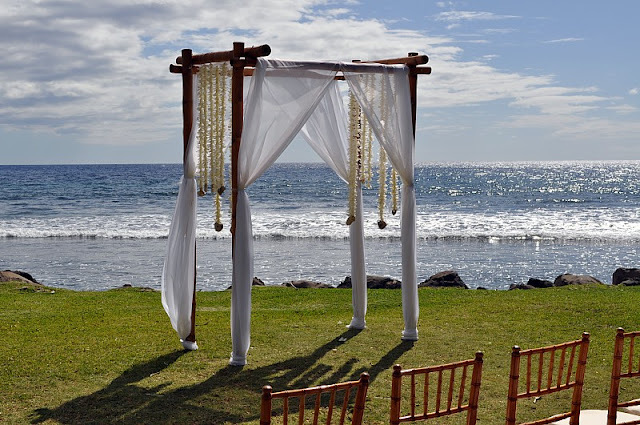 Mahalo to Tropical Maui Weddings Lori & Jamie for providing the wonderfully enjoyable opportunity to again...Design by the Sea. 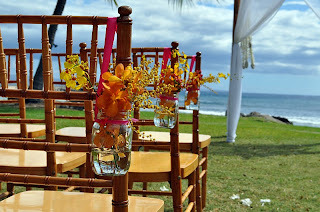 Chair decor comes in many flavors. Here we enjoyed hosting the flowers in glass for its talent at bending the tropical sun. The wedding Chuppa stood close enough to the water to catch the sparkling sun from the lagoon there. 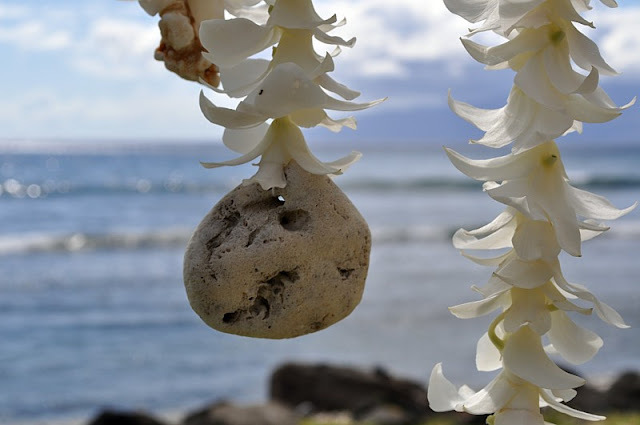 We hung coral from the beach to hold the orchid strands against the light breeze. 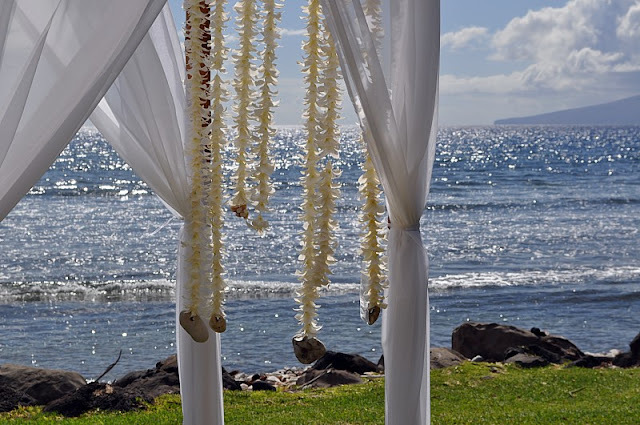 The gentle Hawaiian air moved them against the bamboo signaling to the Bride that it was time. Musical Arches are now a new feature here at Dellables!